Enhance your job board site by using social networking widgets – Facebook, LinkedIn, Twitter, Google+ and Vkontakte. You can enable login with a popular site, allow comments and likes. Follow the instructions to enable social networks on your site. Go to http://developers.facebook.com/ and choose “Apps”. App Namespace – name that identifies the address of the application page. 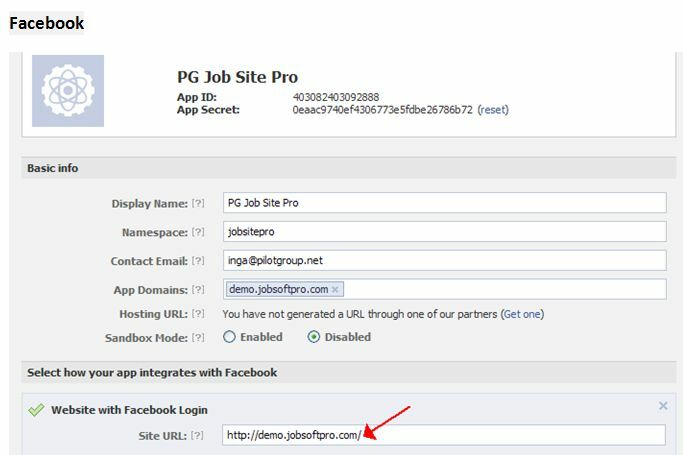 For example, if the field if set “pgrealestate”, then the application page URL will look like http://apps.facebook.com/jobsite/. If the field is left blank, the page will get a random address. Web Hosting – you can use a free webhosting for your application. Leave the field unselected if hosting is not required. Press “Continue” and go through the security check. Once the security check is passed, you get to the application settings page. 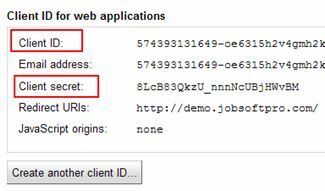 App Secret – the application secret key, it’s paired with unique identifier. Fill in the appropriate fields in your job board site administration panel > System > Social networks > Facebook. Open vk.com > click “Разработчикам” at the foot of the site > press “Создать приложение”. Choose “Веб-сай” on the next page and fill in your site name url and domain. Save the changes and go through the security check. Once the security check is passed, you’ll be able to edit the application settings. 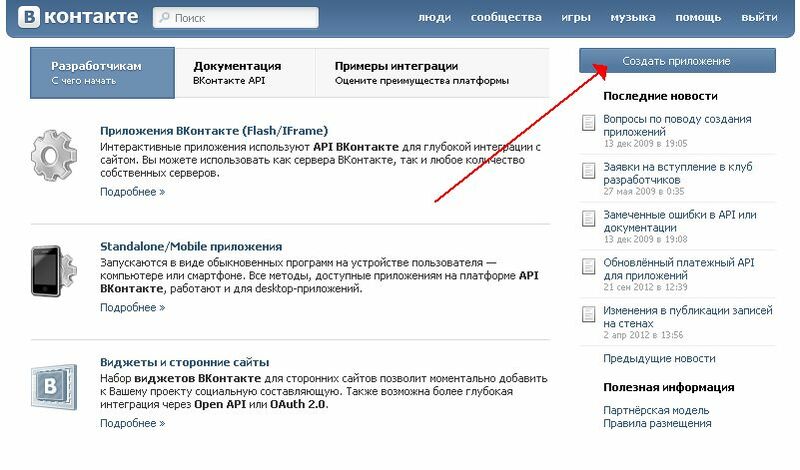 Fill in the application ID и Security key in your site administration panel > System > Social networks > Vk.com. Go to https://code.google.com/apis/console/ > Services > enable Google+ API. 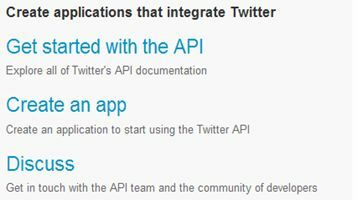 Then go to “API access” and create a “Client ID for web applications”. When done, save your client ID and client secret in the job board script administration panel > System > Social networks > Google+. Go to https://dev.twitter.com/, click “Create an app”. Fill in the application details, get the application key and secret and fill them in in the admin panel of your site > System > Social networks > Twitter. LinkedIn doesn’t require any key or secret.